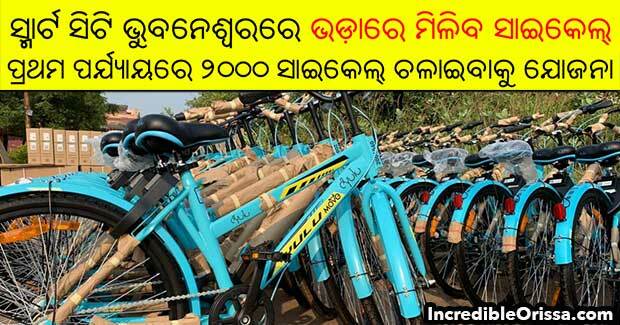 Smart city Bhubaneswar will introduce Public Bicycle Sharing (PBS) system in a week. Cycles for the project have started arriving in the city from Thursday. The project with ‘easy to book, low cost and no pollution’ theme is expected to roll next week ahead of Hockey World Cup 2018 scheduled from November 28 in Bhubaneswar. The best feature of the environment-friendly and smart bicycle is that women wearing ‘saree’ can also ride it because of its low-frame structure. The Adjustable seat height will make the bicycle easy to use by majority age groups like children and students. While Hexi Bikes, a product of Hero Cycles, will have 1,000 cycles under the PBS project, Yaana and Yulu will have 500 each. The project will also ensure a healthy alternative to the city residents and also a possible green mode of transport for the visitors coming to the city for travelling, said Bhubaneswar Smart City Limited (BSCL) in a release. World cities like Paris has PBS system with 4,000 cycles, London comes with 8,300 and Montreal 5,120. Similarly, Indian cities like Karnal (200), Bhopal (500), Mysore (550), Ahmedabad (200) and Gurgaon have such system in place.